WASHINGTON — The Obama administration has extended another deadline for Americans to enroll in its flawed and failing health care enrollment program, and told insurance companies, Americans and the press to not worry about it. Reuters reported that the Obama administration says it is still processing enrollments for the government-mandated health insurance plans and even extended the enrollment deadline to Tuesday. The website has suffered multiple failures, with Maryland considering to scrap its state exchange and send all its enrollments to the federal exchange (via The Baltimore Sun). 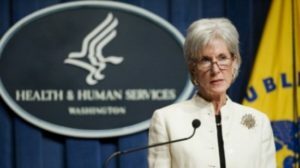 Delays in the law have come from the Obama White House to save face and even Department of Health and Human Services Secretary Kathleen Sebelius admitted that premiums will rise for some Americans, because of how the law is structured. She even begged, in a USA Today op-ed, to not give up on ObamaCare. The deadline supposedly ensures that Americans, who enroll by the deadline date, will be insured as of January. But, as recent events have shown, the website has given flawed and incomplete data to insurers while releasing personal information to identity thieves and hackers. The “heavy traffic” on the website, as Reuters put it, forced the Obama administration to turn to call centers to handle the burden of enrollment. If people were unable to finish their enrollment online due to multiple flaws in the website programming, they are supposed to call these call centers to finish the application or at least verify they started the application. Yet, the Obama administration did not give a deadline for those enrollments that are in a state of limbo. Yet, initial results show that the health care law is failing because it is supposed to attract young Americans. These “young invincibles” have not signed up in droves as the Obama administration had hoped (via Fox News) and instead, they are opting to pay a penalty for not doing so and thereby avoiding exorbitant insurance premiums as a result.